Been searching through multiple posts with people's different recommendations--at least on st185s..
What is the best replacement on an st165? 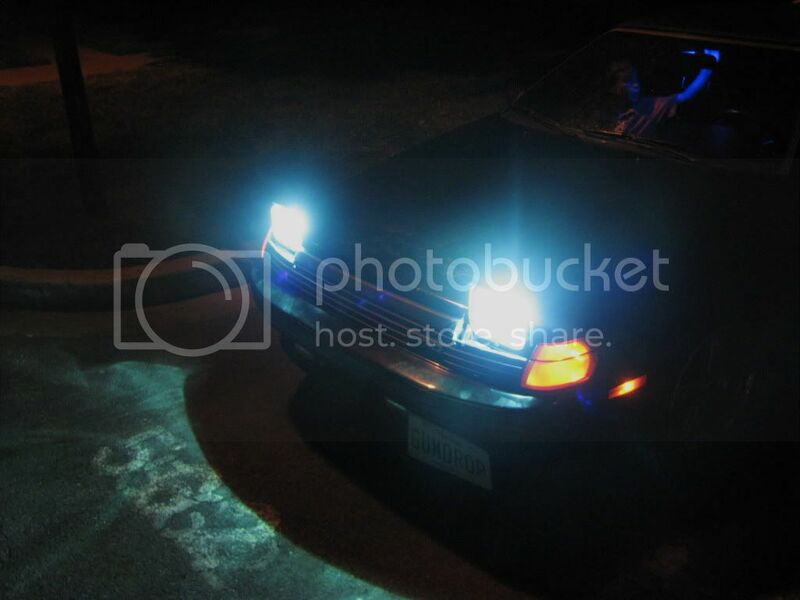 --- I need them bright and clear, but NOT so it blinds the on coming car. On a budget: Hella E-codes with Osram Silverstar H4 bulbs. Dracov wrote: On a budget: Hella E-codes with Osram Silverstar H4 bulbs. Where'd you get the E-codes for the 165? Anyone have the part #s or a resource to find the Ecodes? Both the 165 and 185 use a universal 200mm rectangular sealed beam headlamp as it is, so it's pretty easy to find replacements that use H4 bulbs. This is really good info, and needs to be made a sticky. Admin can you make the info presented here *sticky*? Dracov wrote: Both the 165 and 185 use a universal 200mm rectangular sealed beam headlamp as it is, so it's pretty easy to find replacements that use H4 bulbs. I'd say the 70/65 set. That's already higher wattage than stock 60/55. Too bright may attract unwanted attention from LEO's. When I bought my 165 it was already converted to these housings but has a mismatched pair of bulbs. I'm gonna give Osram Nightbreakers a shot and see how they work. Guys, get yaself some Raybrig lights, lots better! If you need help sourcing, let me know! **BETSY** wrote: Guys, get yaself some Raybrig lights, lots better! Raybrigs are for RHD use only mate. AFAIK there is no lens on the Raybrigs, the front is clear plastic? 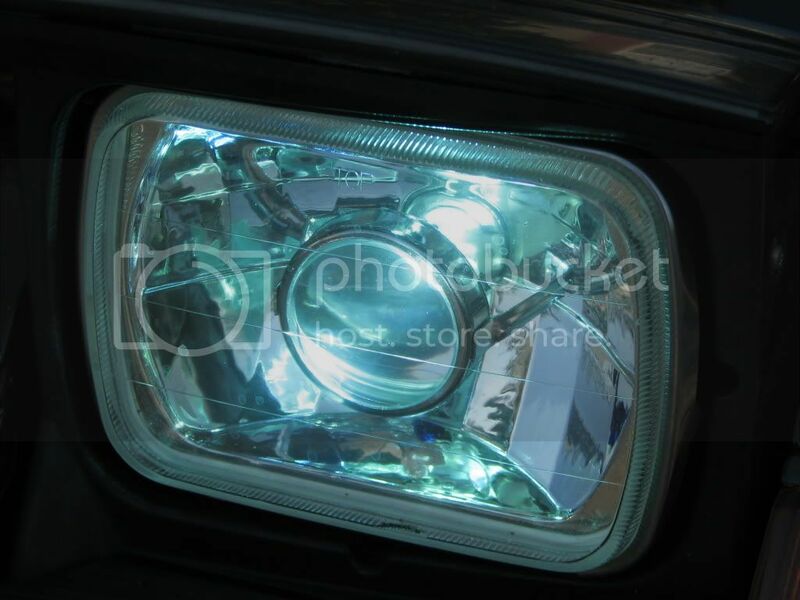 Yeah but the reflector which is sealed onto it is setup for RHD so for legal use (at least, here in NLD) you'd have to swap LHD reflector housings onto the plastic fronts and hope the lines in them (only a few, I know) don't affect the light pattern too much. Yeah, RHD lamps in the US would be a worse blinding hazard than putting a cheap HID kit in eBay diamond cut housings. I have actually used the Ebay cheap replacements as a quick fix for more light. I spent 49 on aHID kit from HIDGATE no issues ever from his kit. and bought those fake projector housings.. which the reflector got too hot and fell out. I since got these ecodes and there incredible. I do get the Hibeams from other drivers every now and then. currently using e code housings (autopal) with ddm tuning hids. i'm in love.